That’s some really cool artwork, and the movie sounds excellent. You gotta love the old Republic Pictures films! Yeah, the Republic serials are great. I wish more of them were cleaned up and remastered for proper DVD releases. 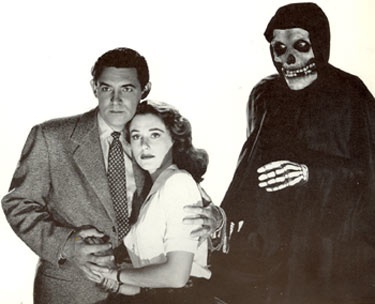 I just ordered The Black Widow and G-Men Never Forget from a small company that transfers 16mm versions of serials to DVD-R … hopefully they won’t look too bad. I don’t know if you’re a Netflix member or not, but if you are, they have all three Flash Gordon serials on instant watch now. I recently watched the first one, from 1936, and the remastering job was stunning. It looks incredibly clean and sharp. Also, Jean Rogers might have been the sexiest, most beautiful serial heroine ever. 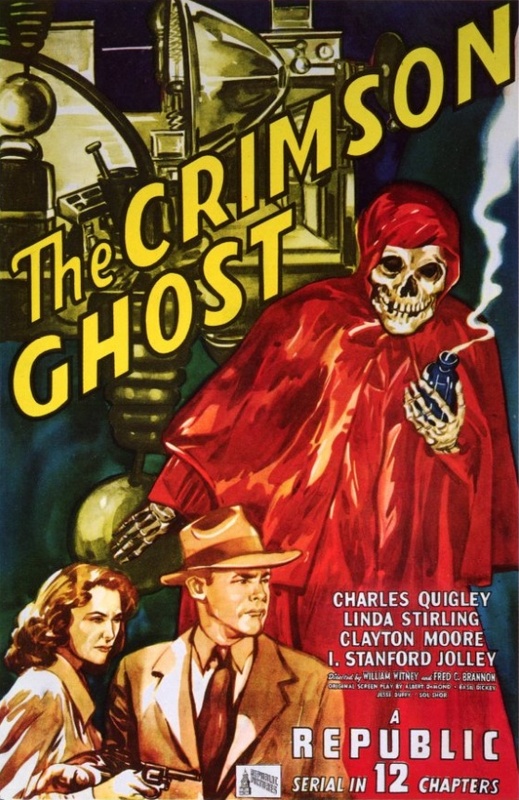 Director Bill Witney admitted in an interview that the Crimson Ghost serial did poke a little tongue in cheek at the genre which was getting old by this time. It was also his last serial as he was destined to direct the Roy Rogers films, where he helped to chorograph the action sequences making Rogers more of an action hero than he had been before. It would also be one of Ms. Stirling’s last serials as she would leave Republic to marry scriptwriter Sloan Nibley, who was introduced to her by Witney. William Witney is great. I enjoy all his serials, and the one picture he made with Roy Rogers that I’ve seen, “Bells of San Angelo.” I’m looking forward to seeing more of his films with Roy Rogers.